Visitors to Discovering Archeology Day assist in the archeological reconstruction of ceramic vessels. Are you looking for something different to do this Saturday? Something in a beautiful place that will be entertaining, educational, and . . . archeological?? 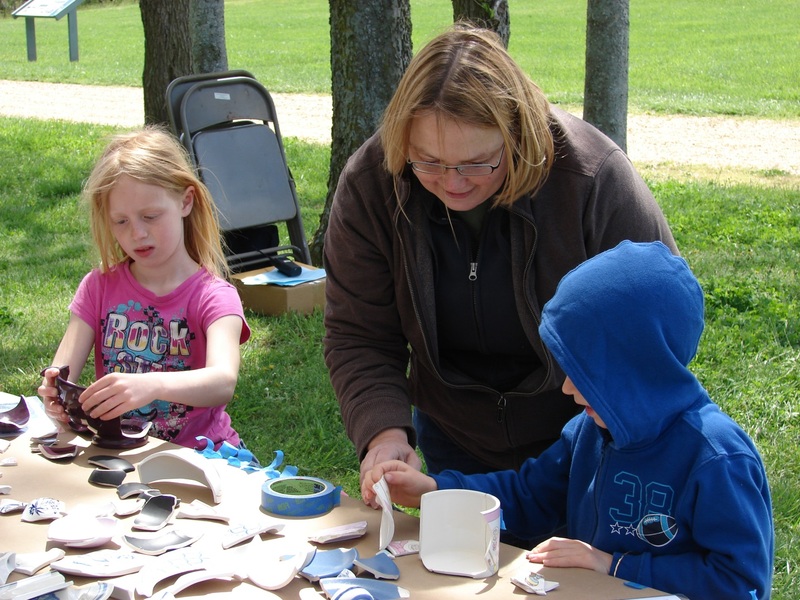 Why not come to Discovering Archeology Day at Jefferson Patterson Park and Museum in Calvert County? This free all-day event (10:00AM – 5:00PM) will have you experiencing, discovering, learning and having fun while exploring the “What, where and how’s” of archeology! There will be demonstrations and activities for budding archeologists of any age! Tours of the Maryland Archeological Conservation Laboratory will be conducted throughout the day. Located at 10515 Mackall Road in St. Leonard, The Maryland Historical Trust’s Jefferson Patterson Park and Museum is set on the banks of the Patuxent River. It is a beautiful place to take a hike, or enjoy a picnic. Visit the reconstructed Indian Village, and walk the archeological trail. What better way to celebrate Maryland Archeology Month than by doing archeology in Maryland! Imagine it’s September of 1814 and the British, having burned Washington just a few weeks earlier, are on their way to Baltimore. Fort McHenry stands ready to defend the harbor from attack by the British fleet. A 3-mile wide earthwork with 100 cannon and more than 10,000 regular, local militia, and irregulars, are in place to repulse the anticipated land attack. Surprised by the strength of Baltimore’s defenses, the British eventually flee the field of battle. Most Americans remember the event best through Francis Scott Key’s Star Spangled Banner. 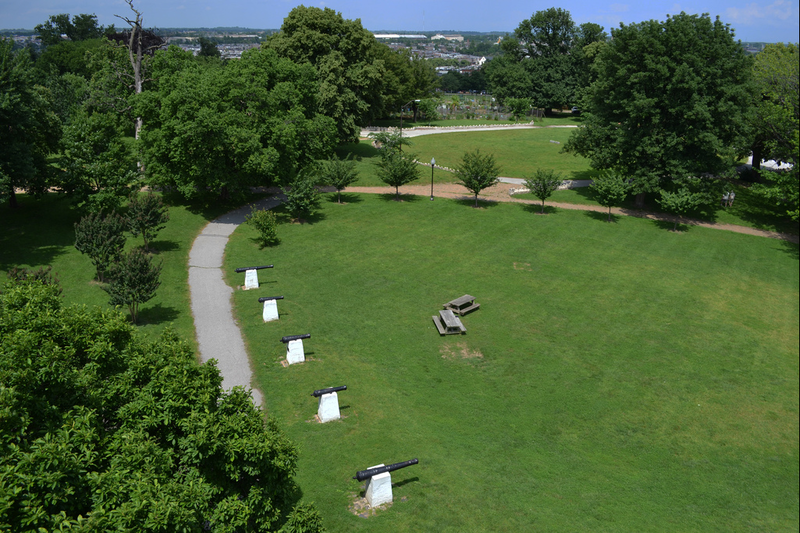 But you have an opportunity to get close to the battle by helping archeologists investigate the War of 1812 fortifications in East Baltimore’s Patterson Park! Sponsored by Baltimore Heritage, with financial support from the Maryland Heritage Areas Program, archeologists from The Louis Berger Group will supervise a cadre of volunteers every Tuesday through Saturday from April 15th until May 17th. You can volunteer for all 25 days, or for any portion down to a single morning or afternoon. Pre-registration is required, and it’s easy! Simply go to the Baltimore Heritage website and click the blue button labeled “Register as a fieldwork volunteer” (toward the bottom of the page). Complete the on-line form and answer a few questions about your availability, experience, and interests, and then click “Submit”. That’s it! You’ll be contacted by someone associated with the project to schedule your volunteer time. No experience is necessary. Free street parking can be found nearby. There are plenty of great eateries in the area. Still not sure? You might want to attend a Volunteer Workshop hosted by Baltimore Heritage on April 15th from 6:30 PM – 8:00 PM. Light refreshments will be provided (free food!!). See you in Patterson Park! What are you doing this weekend to celebrate Maryland Archeology Month? Just because digging is involved doesn’t make planting pansies an archeological endeavor! Why not check out the Spring Symposium of the Archeological Society of Maryland this Saturday, April 5, and get a real taste of what archeology is all about! If you’re like most people, you have thought about archeology, even if only briefly. It’s in the news, and it’s on the big screen. You may be wondering what archeology really is, who does it, or where it is done. Cue the ray of light passing through the headpiece of the Staff of Ra to illuminate the Tanis Map Room (Indiana Jones, anyone? ): the answers you seek will be found at the Spring Symposium! 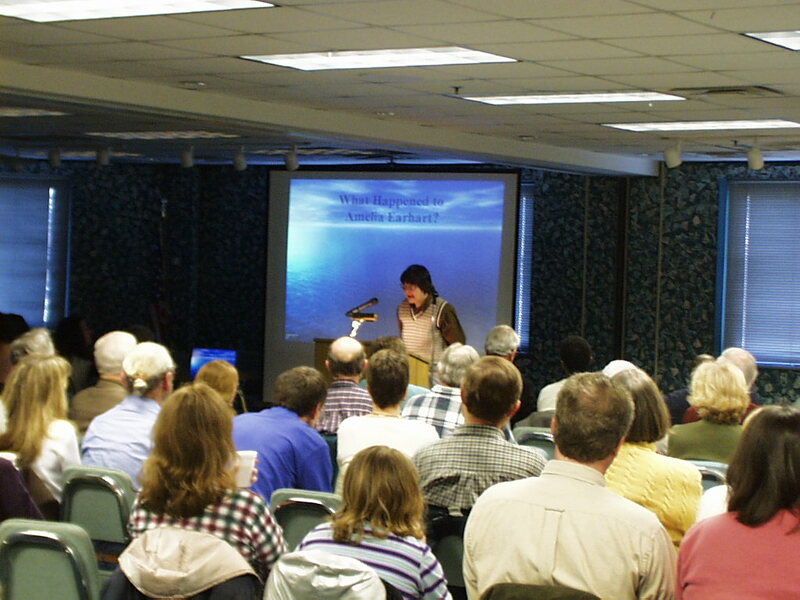 Beginning at 9:00 AM and continuing through 3:30 PM, a series of presentations by archeologists will explore the mysteries of such places as the Great Dismal Swamp, Historic St. Mary’s City, and Annapolis. Topics will include the study of landscapes, remote sensing (think CSI! ), open access excavations, and archeological education. These presentations are guaranteed to interest and illuminate. The Spring Symposium will be held at 100 Community Place, Crownsville, MD 21032. Come early to enjoy some light refreshment (aka “breakfast”). Doors open at 8:30. The on-site cafeteria will be open for lunch. There is a charge of $5.00 for Archeological Society of Maryland members, and $7.00 for non-members. All students are admitted free!